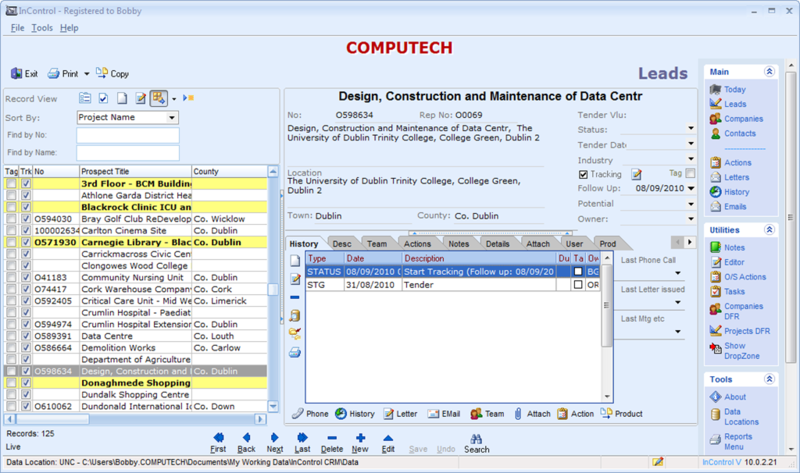 Effectively monitoring and tracking customers and projects is a daunting task for contractors and suppliers whether sales are managed centrally or via a network of company reps.InControl CRM has been developed by a team with many years experience in the Irish Construction Industry. It is a powerful, yet intuitive Customer Relationship Management System that allows managers and directors to monitor their sales and marketing efforts and allows bus reps to get on with the business of selling, safe in the knowledge that they are in control of all their key customer and prospects. A fully searchable database of project leads with details of key players, specified products and finishes, sizes and values and stages of development. 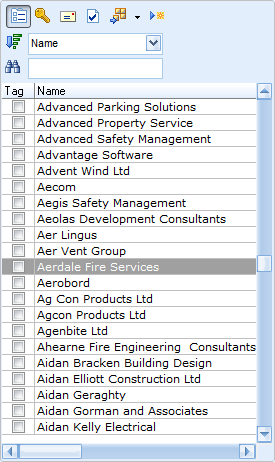 Links to the companies involved in the project and also show other projects that each company is involved in. Keep track of all your customers and prospects and their activity. Facilities included for mail merge marketing and analysis. 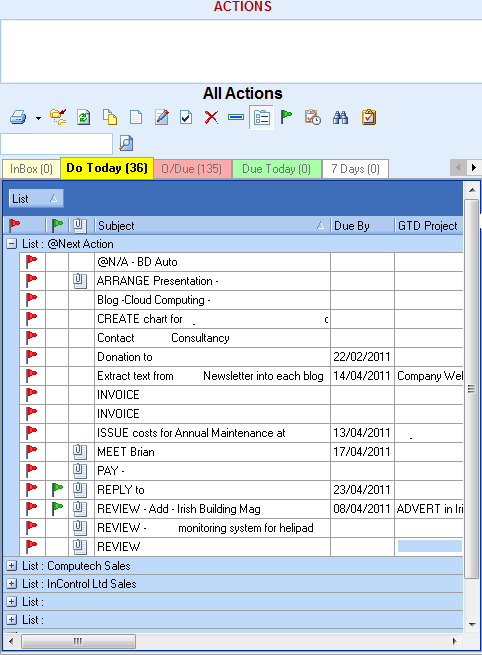 The software features a built in word processor, report writer and email engine. 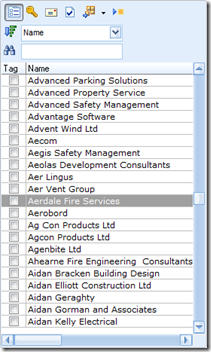 You can attach documents from external sources – drawings, spreadsheets etc and view and edit them from within the system. A full history of all your communications and activities is automatically recorded – letters, emails, phone calls, meetings etc. No more leads missing or forgotten about. 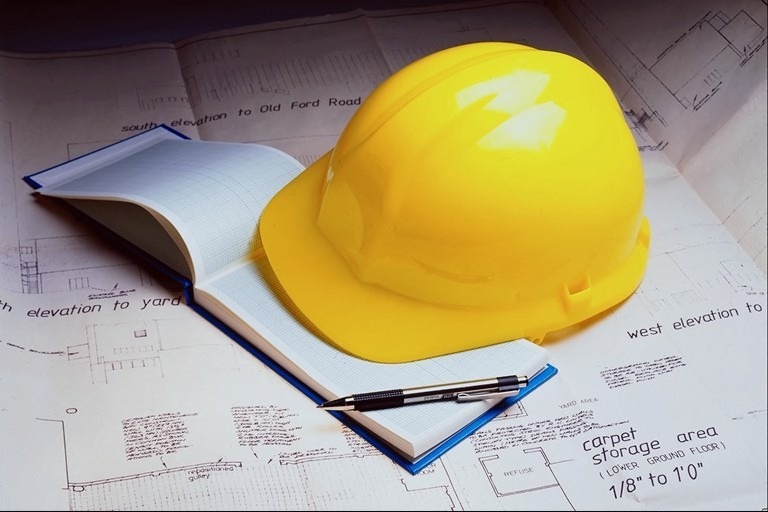 InControl’s tracking system ensures that large numbers of leads are effectively managed and all key projects are tracked and monitored closely. One of the greatest benefits of the InControl system is that acquired knowledge stays with the company and not the individual. The wealth of shared knowledge that builds up over time allows anyone in your company to quickly get up to speed – with a full history of phone conversations, letters, faxes, emails and notes. 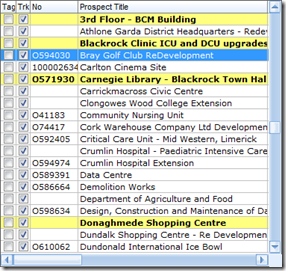 Send new prospects and updates to your reps and have them feed activity and progress back. Import weekly sales leads from leading Data Providers such as A.I.S., C.I.S., and ORE. 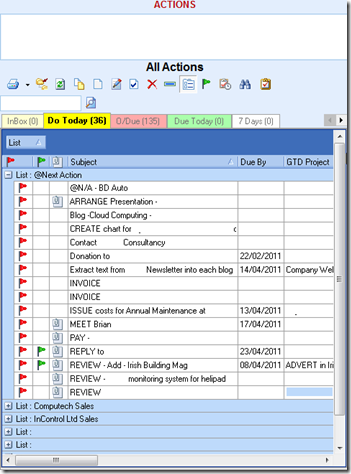 Manage Task and ToDo Lists using the GTD System (Getting Things Done).